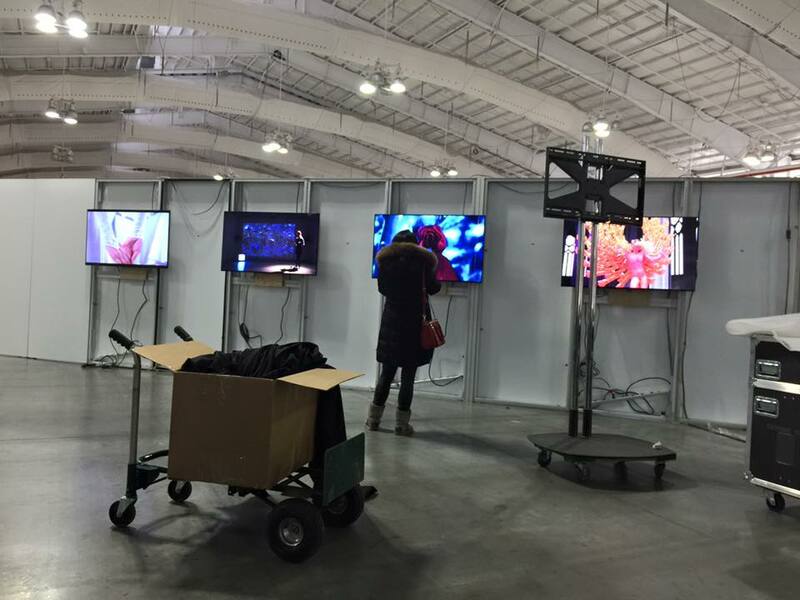 Installing the “Cross-Cultural Dialogue: Sino-American Young Artists” exhibition at the Javits Convention Center in New York. The exhibition opens February 6th and will include work from past and current students. A look at the immense size of the Javits Convention Center in New York. Peer Bode, Fei Jun, and Xiaoliang setting up the exhibit! In the current time of globalization that has brought cultural convergence and integration as well as cultural conflicts and tensions, cross-cultural dialogues are necessary for creating means and approaches to better understanding the reality of an increasingly multicultural world. “Cross-Cultural Dialogue: Sino-American Young Artists Exhibition”, which is a significant part of the “Fantastic Art China 2016: New York International Creative Festival”, provides a platform for young artists from China and America to engage in investigation and exploration through their art practice cross-cultural issues of common interest. Participating young artists from China are mostly those who graduated in the last few years from such major art schools as the Central Academy of Fine Arts, Beijing Film Academy, Beijing Institute of Fashion Technology, Beijing University of Technology, and Beijing University of Civil Engineering and Architecture. And also includes New York City based young artists who graduated in the last three years from art schools, departments or programs and whose works explore a wide range of cross-cultural issues in the age of globalization.